Damon & Stefan. . HD Wallpaper and background images in the Damon and Stefan Salvatore club tagged: damon stefan ian somerhalder paul wesley salvatore tvd the vampire diaries. 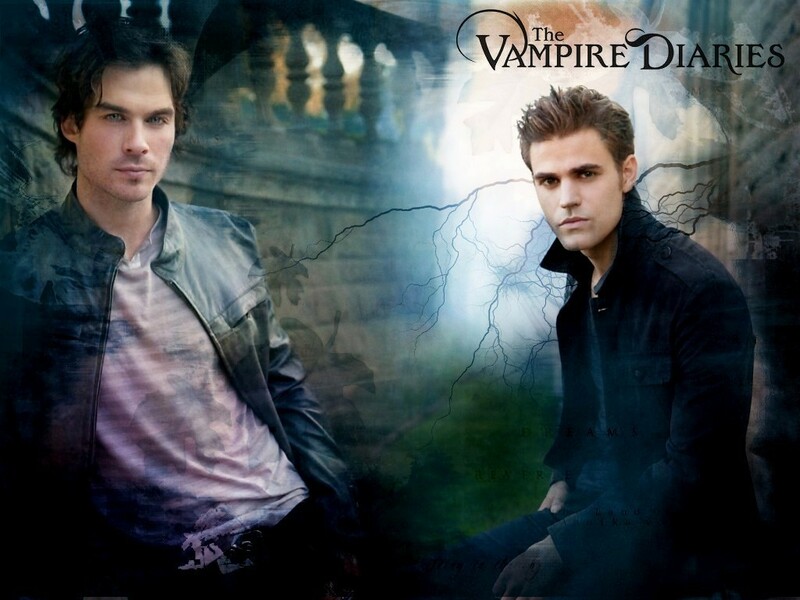 This Damon and Stefan Salvatore wallpaper might contain suti biashara, biashara suti, wamevaa vizuri mtu, suti, suruali nyayo, pantsuit, mtu wamevaa vizuri, suti ya suruali, ishara, bango, maandishi, ubao, matini, and ubao wa chokaa.